Ben Levin is the guitarist of Bent Knee, and with all the recent buzz about that band, it’s interesting to take a look at what he does on his own. 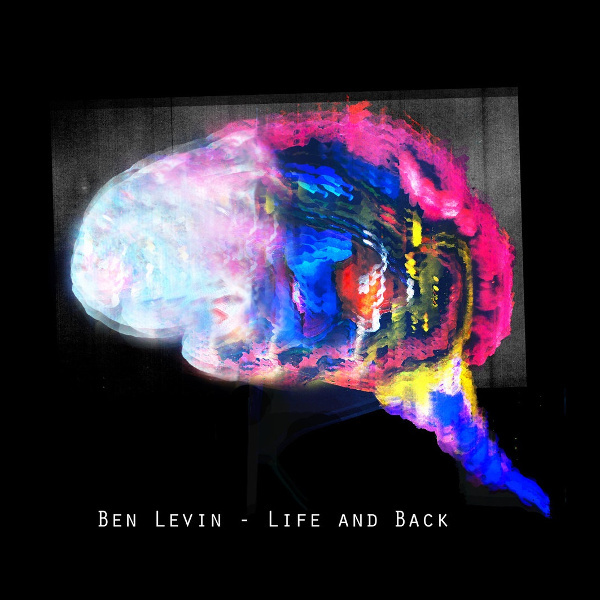 Life and Back is his seventh release, counting solo efforts along with four credited to the Ben Levin Group. Obviously taking Courtney Swain’s vocals out of the picture presents a very different sound, and there’s also no violin here, but the same spirit of exploration is definitely present. Aside from some guest vocals by Bent Knee bandmate Jessica Kion, Levin did this all on his own, with guitar, bass, keyboards, and percussion backing his vocals. The percussion generally sounds electronic, either by origin or processing, and while there are touches of hip-hop style to some of the beats, they are much too skittery and erratic to really cross over to that market except in the most experimental fringe. His lyrics are delivered as singing and rapping by turns, and subject matter ranges widely, from brutally direct and personal to oblique and imagistic. There are unexpected sounds around every corner, heavily processed keyboards, weird samples, and distorted drums, then suddenly delicate acoustic guitar. The poetry of the vocals reminds me at times of Peter Blegvad tossed into a digital maelstrom. “Waiting” is a particular highlight, a touching portrait of dealing with a loved one suffering from dementia which pulls no punches regarding the indignities and consequences of old age, but also serves as an honest rumination about the emotions brought up in the situation. It’s the track with the greatest participation from Kion, with her providing both backing and lead at times, and it also features some amazingly twisted instrumental sounds. Life and Back is a shining counter-example to all of the over-indulgent solo projects that have been enabled by current technology, full of originality and surprise.